I guess I can see how you couldn't resist, but I hope that the consequences will learn you a lesson! 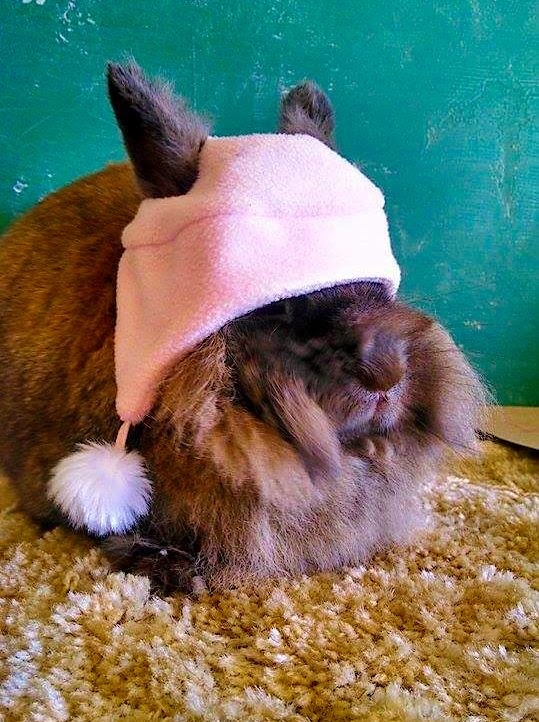 Kinda wondering if maybe Betty's sudden impulse to don a hat had a dual purpose; in addition to keeping her warm, it shields her eyes from the glare of too much cold, hard hoomin stoopidity. Me, too, Jen. I mean faced with a polar vortex or hoomin stupidity, which one would really be of concern, what is the real threat here? There is no chance that Betty will be anything but "tres chic" as she faces the future, and she is showing her obvious love for G's well-being with her caring question. A lovely bunny like Betty can do that with letting her real concerns come to the forefront. Anyway, you all, the bunns are here to help us think our way through this world, so do follow Betty's example and be careful to stay warm.